A Memorable, yet Unusual, Valentine's Day in Outaouais! Ahh Valentine’s Day, each year long-awaited by the romantics and dreaded by last-minute people. Whether February 14th is the time to impress your loved one or to take a break from your day-to-day routine and enjoy some quality time with your lover, suggestions on what to typically do during that time are all over the place! So I came up with some unusual ideas … Only in Outaouais. The daily grind is more present than ever? Enjoy couples yoga to relieve any stress you may have! Corps-Esprit is organizing, on February 14, a special yoga workshop where several dual yoga poses will be presented. So take a break from your busy schedule to share this moment of relaxation in the company of your sweetheart. 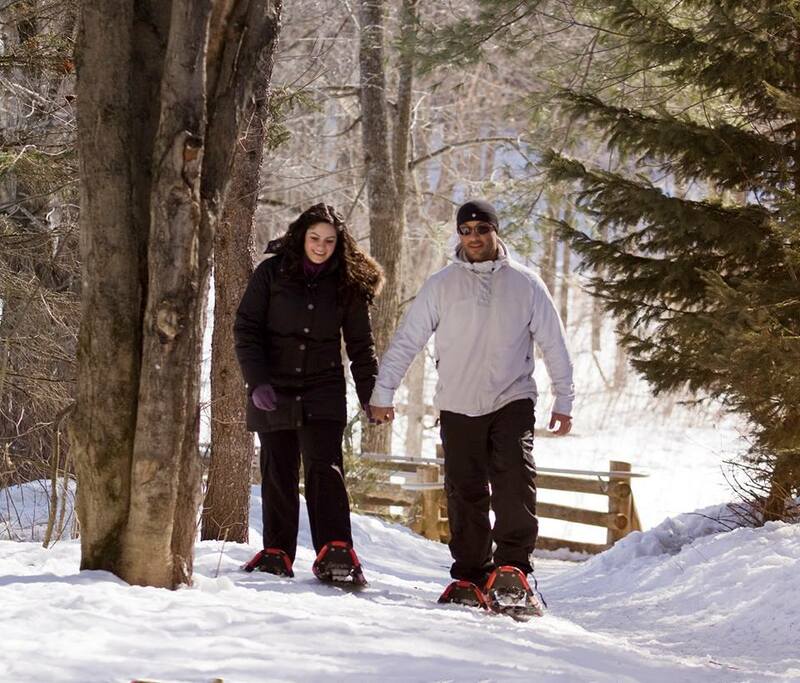 Outdoor lovers, how about a day of snowshoeing or cross-country skiing in Gatineau Park followed by a picnic or a hot chocolate on the wooded trails? Little aside for next year: you could extend your stay by spending the night in the Park. Cuddle in a yurt, a cabin or a four-season tent. You could even stargaze and forget that you are just minutes away from the city! But be quick. Reservations are being taken as early as November. It's stronger than you: Valentine's Day rhymes with chocolates, candles, rose petals ... You name it. Well, the Hilton Lac-Leamy offers you a bubbly evening beyond your wildest expectations. This five-star hotel provides a one of a kind service: a personalized bubble bath in your room. Select one of the luxurious aromas, such as cacao and mandarin, to awaken your senses during your stay. Forget the candles! 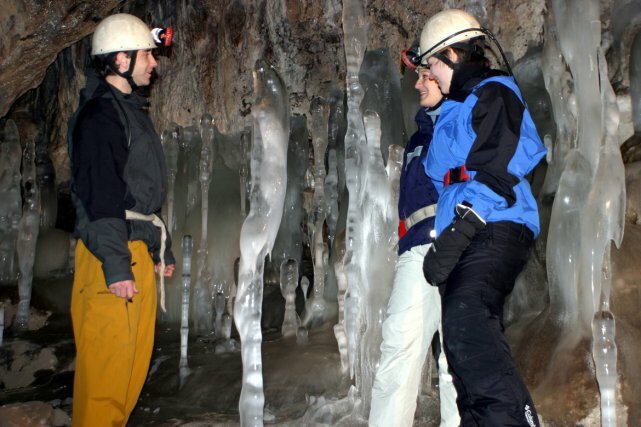 Look into your sweetheart's eyes among the giant ice stalactites and stalagmites in the largest cave on the vast Canadian Shield at Arbraska Lafleche . Ladies, if you are a little fearful, your favorite caveman will comfort you! But if you are of a more daring nature, the extreme zip lining, which includes flying over a 168 meter long lake on a giant zip line that will propel you at 45km/h, will simply melt your heart! Your Friday night usually ends with a glass of wine? An evening at the SOIF Wine Bar will fall into your strings for Valentine's Day! The perfect match of flavors between the impressive wine card selected by world-renowned sommelier Véronique Rivest, the exquisite tapas and the delicious cheeses served will be the highlight of your evening. Not to mention the variety of bubbly wines and champagne available! Let your spouse be the pack leader… for once! 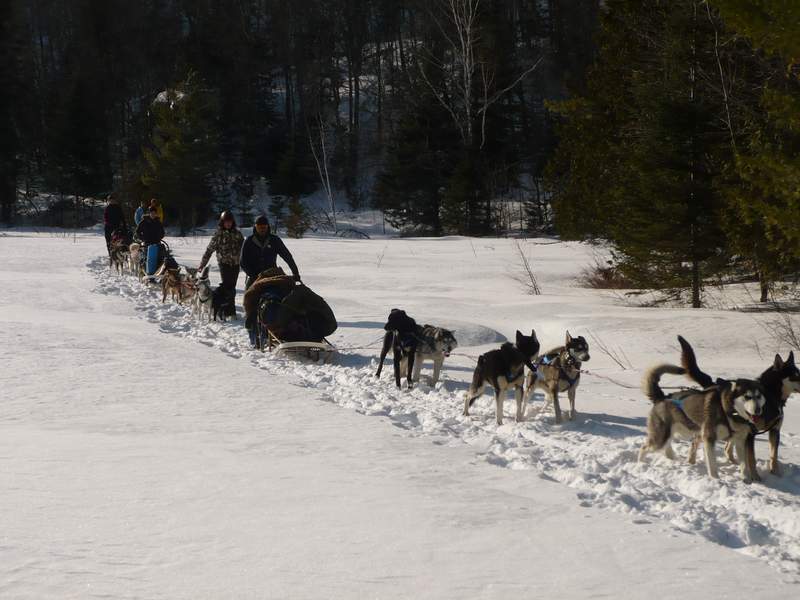 Enjoy an amazing dog-sledding tour with the Tanwen Pack. Several packages are offered, ranging from introductory sessions (1 hour) to a few hours in the woods. You'll even have the choice of different routes depending on your preference of landscapes, duration of activity or course difficulty. So who will take charge? Let’s face it! It’s almost a tradition to celebrate L-O-V-E with a gastronomic dinner for two at L'Orée du Bois; a romantic getaway at a hotel such as the Hotel V Gatineau, Fairmont Le Château Montebello and the Ramada Plaza Manoir du Casino; relaxing in the baths of Nordik Spa-Nature; enjoying a massage at the Wakefield Mill Hotel & Spa or savoring fine chocolates from Miss Chocolat and ChocoMotive. Whether you are an outdoor lover, a yogi, a foodie, a romantic at heart or even single, I hope you have an #outaouaisfun Valentine’s Day! And get inspired on our Web site: www.outaouaistourism.com! Born and raised in the Outaouais, this region continues to amaze me. I’m passionate about communications and I have a sweet spot for Ricardo’s desserts and nonsensical Hollywood gossips (yes… I do), but above all, I’m someone very determined and fearless. So no matter what the challenge is, bring it on! Through my own lens, I hope I can help you discover (or rediscover) the place I call home and its many fascinating, surprising and stunning facets.